We are big enough to produce any size job yet small enough to give your job the special care and attention to detail it deserves. Our facilities here at Step and Repeat LA reflect that concept with top-of-the-line large-format printers that shine and sparkle with every print! We operate fast and meet dangerous deadlines, without forgoing top quality. Our facility allows us to do just that. At Step and Repeat LA, we utilize the most modern and innovative equipment and products in the printing industry. We are proud of our state-of-the-art large-format printers, producing the highest quality, finished products that are also environmentally conscious. We have one of the the largest printers in the world printing up to 16’ wide by endless length. This is great for large-scale events needing large format prints. This grand machine can print vibrant beautiful colors on vinyl or fabric. With this printer, we can handle ANY size job. This latex industrial printer outputs seamlessly up to 126″ wide and compliments our other printers with a broader range of materials and fabric options. It prints directly onto vinyl, wallpaper and many polyester fabrics. 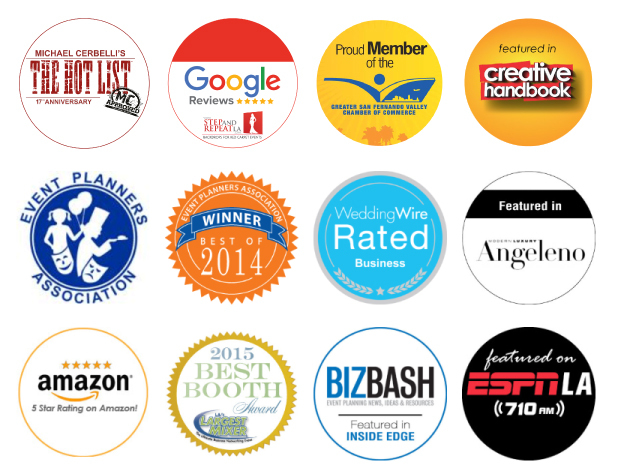 It especially prints beautiful, backlit, fabric backdrops as well as double-sided graphics. We use this printer for our “Soft Heavy Knit” material. 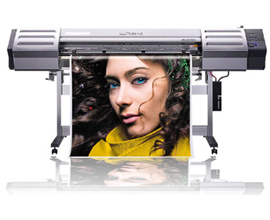 Our Roland Sol-Jet Printer prints 8′ wide by endless length. This beautiful machine runs day and night printing most of our step and repeats! This here is our CNC router for creating three-dimensional letters and signage. 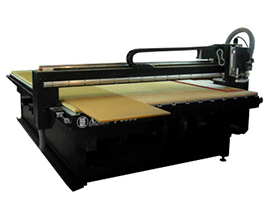 With this machine, we can create custom products made out of wood, plastic, foam, aluminum, brass, acrylic and more. One of the products we use this machine for is to create “life size custom standups” – cut-outs of people or animals. 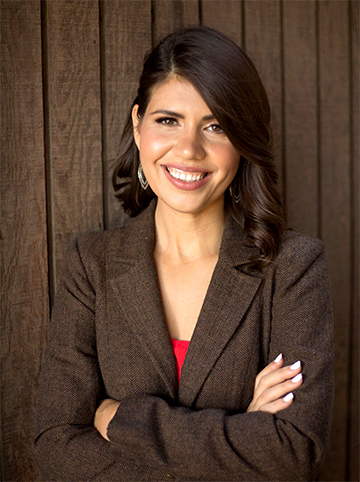 These standups are used at events in front of step and repeat backdrops all the time. 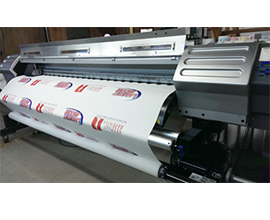 Our Roland Sol-Jet 5′ print-cut machine is excellent for detailed high-quality prints as well as printing and cutting out decals, stickers, labels, sticky-back letters, wallpaper, etc.